Ms. Lila Byrd Hamlett was born to Nelson and Adlena Hamlett on February 21, 1932. Lilah passed away at home peacefully on March 18, 2019. Lila completed her K-12 education in a 1-room schoolhouse that resided inside a church her grandmother built in Scobey Mississippi. Upon graduation of high school, Lila enlisted in the United States Airforce. After Honorably completing her Tour of Duty, Lilah enrolled in Rust College in Holy Spring, Mississippi and received her Bachelor’s degree. Following college Lila moved to Kansas City, Missouri in 1960 and began working at City Hall for the next six years. After working at City Hall, Lila worked for The US Treasury Department in a supervisory role and retired after thirty years. Ms. Lila joined the Cleveland Avenue Baptist Church in 2006.Being an active member was her primary goal but unfortunately her health began to fail as she was diagnosed with breast cancer. However, in spite of her own health challenges she continued to be the primary caregiver for her sisters as their health declined as well. 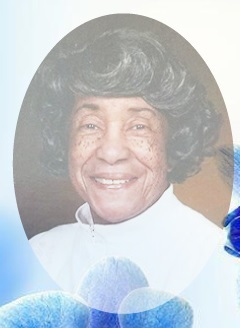 Ms. Lila was a very selfless and amazing woman that always put others needs before her own. Lila loved to travel and enjoyed fishing, she also loved experimenting with recipes. Ms. Lila was proud to have taken an active role in the civil rights movement and was especially proud of the role her mother played in registering African Americans in Mississippi to vote at the cost of her own life. Ms. Lila loved the Lord and was an avid believer in education and being raised in segregated Mississippi during the Jim Crow era, she had an astute belief in the power of the Vote. Lila loved to see people prosper and was a true humanitarian. Lila Byrd Hamilton was preceded in death by her parents Nelson and Adlena Hamlett, by Sisters Louise, Julia and Edna and Brother Henry. Lila is survived by cousins, nephews and nieces and friends, church members and a host of others and the loving staff of nurses and doctors at Research Hospital. Visitation 12PM, with services 1PM, Saturday, March 30 at Park Lawn Funeral Home, 8251 Hillcrest Rd. ; a private burial will take place at a later date at Leavenworth National Cemetery. Visitation will be 12PM, with services at 1PM, Saturday, March 30 at Park Lawn Funeral Home, 8251 Hillcrest Rd. ; graveside services 10AM, Tuesday, April 2 in Leavenworth National Cemetery.